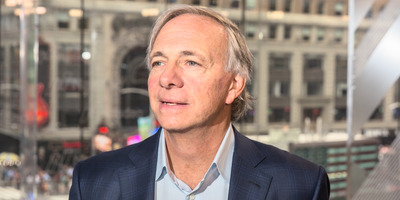 Ray Dalio’s Bridgewater Associates has upped its bet against European stocks to $US22 billion. The world’s largest hedge fund has short positions on some of the continent’s largest and most recognisable companies, including Adidas,Deutsche Bank and Daimler. The Connecticut-based fund, which manages about $US150 billion, has a total short bet of $US22 billion against some of the largest companies in Europe, according to a 13F filed Thursday. The document is a required quarterly disclosure for large fund managers. Other popular brands the firm has short bets against include Adidas($US339.1 million) and Daimler($US780 million). “Recent spurts in stimulations, growth, and wage numbers signalled that the cycle is a bit ahead of where I thought it was,” founder Ray Dalio wrote on LinkedIn this week.